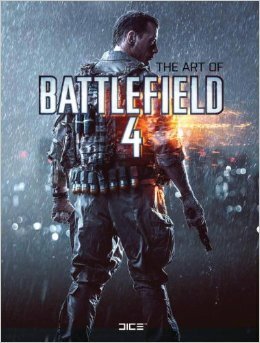 The Art of Battlefield 4 is a huge, 192-page art book available from Titan Books for $34.95. The book explores the various locations, characters, and landscapes of Battlefield 4. As compared to the Assassin’s Creed art book I just reviewed, this book focuses on a very urban environment. It was also interesting reading them one after the other, because I was able to see the stark artistic differences and how they influence the mood of the game. Despite showcasing big cities and huge ships, the art of B4 seems so desolate and lonely. If you love the Battlefield series, and want to have a deeper understanding of what goes into creating it, then this book is for you! Buy it here.